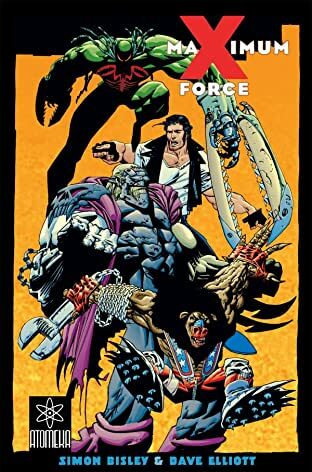 Max Carnage, Sharky, Blitz The Manic Mandrill, BobCat, and Preying Mantis. Five Heroes. Five Heroes forged in the fires of science, magic and legend. Five Heroes brought together on a single mission. Five Heroes willing to fight for what they believe in. Five Heroes who are still trying to come to an agreement about what they believe in. Five Heroes who in the meantime will play pool and drink six pack after six pack. 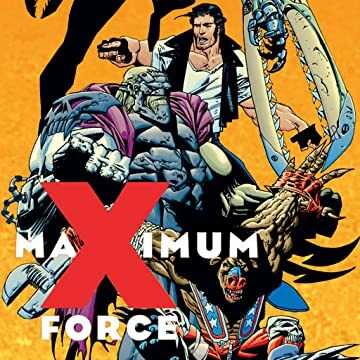 Maximum Force is about how a lonely eclectic group of super powered beings manage to survive as a family unit without killing each other. Their internal dynamics are just as important as the external ones.